Naoto Kan has ordered a 5 percent cut in Japan’s corporate tax rate. Is now the right time? It’s easier to cut taxes than raise them. We all know that one. In Japan, while talk of raising the consumption tax took the front pages during the upper house election campaign earlier in the year, it’s the 'easier' lowering of the corporate tax rate, also mentioned at the time, which is set to take place next year. Earlier this week, Prime Minister Naoto Kan ordered a 5 percent cut in the corporate tax rate as had been widely anticipated. While most of Japan’s competitors, with the important exception of the United States, have been cutting their rates to below 30 percent over the last decade, Japan’s combined corporate tax rate remains unchanged at a relatively high figure of nearly 41 percent. So it would seem to make sense to bring the tax rate down for companies in Japan so they can compete with their rivals and keep their operations in the nation, while also encouraging more foreign investment. But after all the huffing and puffing by Kan about the need for fiscal discipline, how can he justify increasing the hole in the government’s finances by another 1.5 trillion yen? Surely that flies in the face of his backpedaling on his party’s general election manifesto commitments in the name of budget-balancing prudence? It seems one of the major reasons behind the decision isn't just Kan’s desire to boost growth, but his desire to boost employment—it’s all about jobs, jobs, jobs, remember? If firms can keep more of their profits, perhaps they’ll invest more and hire more, which would be good news for future competitiveness and for employment. Since the main opposition party is also in favour of the cut, it’s also something Kan can likely pull off without adding to his problems. He can be seen to be achieving something in pursuit of his goals of growth and employment, and given his cabinet’s popularity ratings, now languishing just above 20 percent, he needs to do something. But I wonder how positively the public will see it. Won’t it just be perceived as a move that benefits business? And I wonder whether we really will see any significant improvement in the employment situation as a result of this tax cut. Perhaps it will be more a case of putting a temporary brake on moves by Japanese companies to relocate their operations overseas, thereby helping secure existing levels of employment rather than increasing them—very important, nonetheless. In an ideal world, Kan would have unveiled this tax cut as part of a major reform of the whole tax system, the consumption tax included. But he’s in no position to do that at the moment. 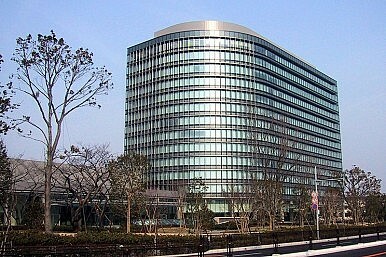 Still, the move was welcomed by Japan’s main business lobby and the national press, albeit with some caveats. The Nikkei, Japan’s biggest business daily, said Wednesday the move was only a first step toward revitalizing the economy. The paper lauded Kan for sticking to the 5 percent figure and not accepting a Finance Ministry alternative of 3 percent, but said a corporate tax rate nearer 30 percent was needed along with wider tax reform that included the consumption tax. It labelled any criticism of the move as misguided, again referring to the fact that you need to have healthy firms if you want employment, while concluding that businesses in Japan now have to step up to the plate in terms of delivering investment and employment. The Asahi, the nation’s second biggest broadsheet, expressed more concern about how the shortfall in revenue created by the tax cut would be filled. Would future growth really boost corporate tax receipts in the long run, or was this a case of counting your chickens before the eggs have hatched? If Kan fails to fill the revenue shortfall in the next budget in line with his own stated intention of fiscal consolidation, then his future decisions would be devalued, it argued in its Thursday editorial. Certainly, any effects from the tax cut in terms of growth that might actually increase corporate tax receipts in the future will be years away—if they ever materialize at all. So let’s keep a close eye on how Kan’s government is going to find the cash to fund this cut. Big party support for a consumption tax hike leaves opposing voters few alternatives.